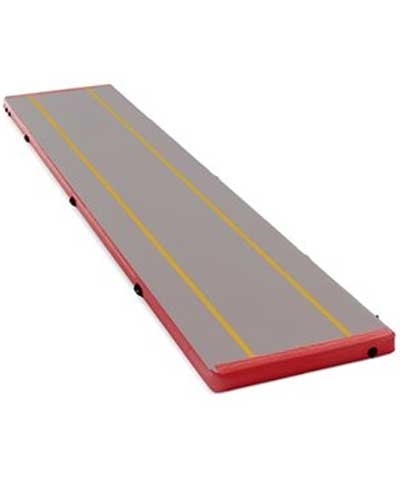 The Spieth America Air Track Mat or Air Floor is a 78"x49'x8" portable Air Cushioned Gymnastics or Cheerleading tumbling mat that offers incredible rebound. 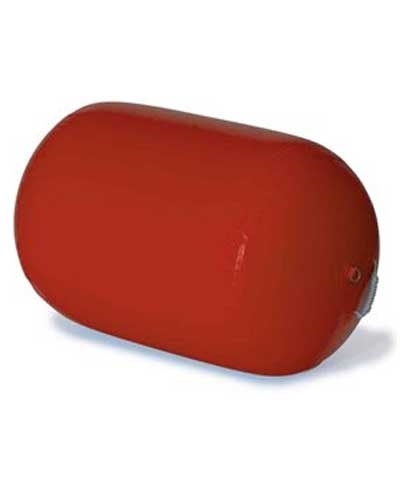 When filled with air, it provides exceptional cushion and bounce and minimizes micro-trauma. 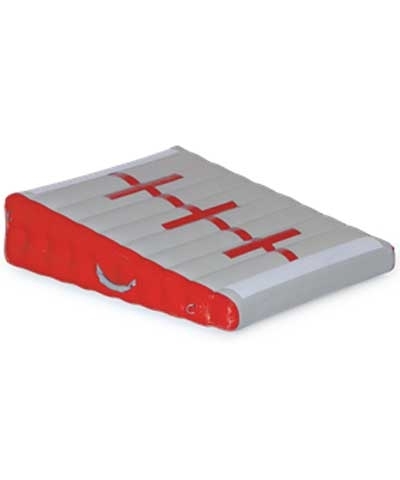 The Air Track features Air Cushioned Technology which consist of a unique top and bottom heavy duty fabric with strong woven fibers in between which allows the mat to maintain an even equal rebound surface. The top of the Air Track features yellow boundary lines on each side to help keep the tumbler centered. 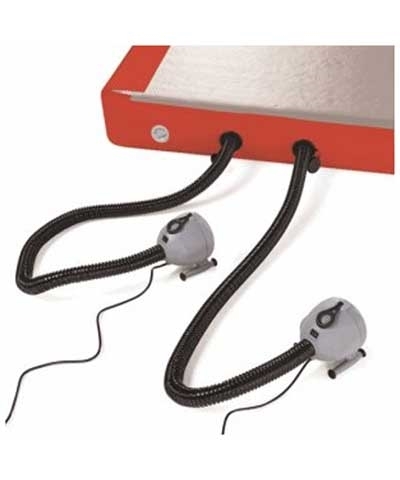 It's recommended to use two air blowers for rapid inflation and deflation. Purchase Mini Air Blowers separately-see S1740076.